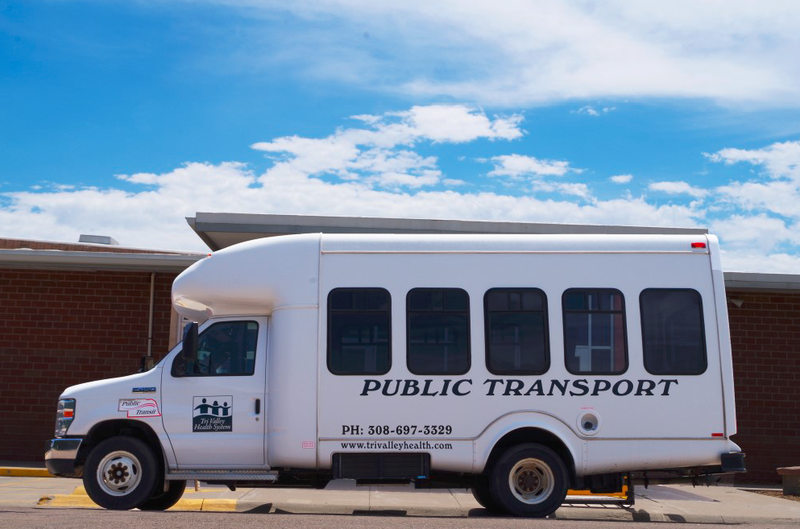 Tri Valley Public Transportation is a service available to the general public, including persons with disabilities by reservation in communities of Furnas and Red Willow Counties. 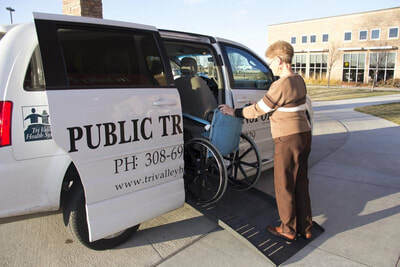 This service features a lower floor Minivan with ramp access and an accessible 12-passenger bus fully equipped with a standing or wheelchair lift. In addition to local transportation, we can transport individuals from within our normal service area to destinations outside of the service area for specialty medical services or personal shopping (e.g. Kearney, North Platte, etc.). Groups are also welcome to reserve transportation services in advance for special trips. Those who would like to make a reservation please call 308-697-1164 or email us at info@trivalleyhealth.com. View the Public Transportation brochure for full details of the program. Under the Civil Rights Act of 1964 and related statutes, Tri Valley Public Transportation ensures that no person shall, on the grounds of race, color, or national origin, be excluded from participation in, denied the benefits or services of, or be otherwise subjected to discrimination in all programs, services or activities administered by the agency.